It is surprisingly hard to remove small particles from surfaces. Try it yourself. Put a particle of diameter D on a surface with surface energy W and blow with air of velocity v hitting the surface a distance x from the particle. The different forces are calculated and if the ratio of the drag (there are two forms) to adhesion forces is less than 1, the particle will stick. Things get super hard for particles below 1μm! How hard can it be to remove a particle from a surface by gravity or by blowing air across the surface? From the particle adhesion app we know that gravity is insignificant for particles below <1mm. We also know that the adhesion of a particle decreases with size (Fadh=1.5πRW) so it might seem that removing them with air would be easier the smaller they are. But there are two problems. First, the force acting on a particle from a fluid flow is proportional to its cross-sectional area, R2, so the removal force decreases faster than the adhesion force when the radius gets smaller. Second, the velocity of laminar air flowing over a surface decreases to zero at the surface. So a smaller particle is sitting in slower air flow than a larger one. Even turbulent air doesn't solve the problem because turbulent air doesn't reach right down to the surface, i.e. there is a small but significant region of laminar flow remaining. Given the complexity of the problem it is not surprising that there are few good theories to help us. The advice in the Podczeck book is that equations from Zimon are good enough for our purposes. When air of velocity v hits a surface then a particle of diameter d feels a drag force, Fdrag which depends on the distance x between where the air arrives and where the particle is sitting. It also depends on the density ρ and the (kinematic) viscosity η of the air. For the app these are both assumed to be values at standard temperature and pressure. The transition from laminar to laminar-turbulent takes place at Re=5 and to fully turbulent when Re>70, where Re is the Reynolds number Re=dv/η. In addition to the forces, the ratio of the drag to adhesion is shown to give an idea of whether the particles will stick (Ratio<1) or not (Ratio>1). The benefits of turbulent flow are very apparent! The conclusions about removal are probably pessimistic. Roughness of particles and/or surface will generally reduce Fadh. 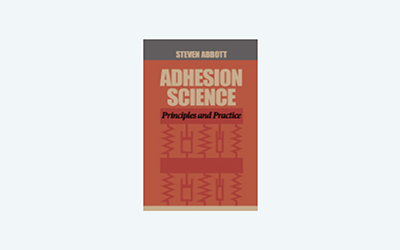 Although the app could in principle calculate the same for when water is the fluid instead of air, in practice the adhesion forces are so much lower that such calculations are probably not worth doing.